Our company based in Michiana does comprise of a special package of commercial aquarium maintenance and servicing which involve installation, repairing, vacational fish feeding and customization. Our company has a special workforce for such purpose. 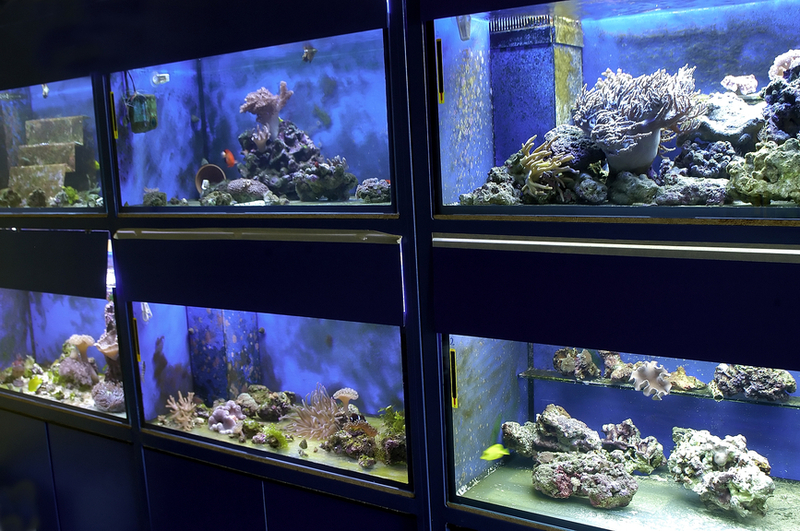 We deal with overall maintenance and management of commercial aquariums only. The sole purpose of hiring such special team is to reduce the work load of our existing specialized staffs. Often many commercial firms including hotels, restaurants, corporate offices, villas and guesthouses knock our doors for overall maintenance of their aquariums for earning the applause of the spectators. Our firm for the purpose of satisfying their requirements has created this special package scheme. Under this scheme our workers have the opportunity to work independently without the interference of the clients. To know more about this service clients have the option of visiting our site. Clients not satisfied with our service have the option of availing free of charge service under this scheme. Clients need to pay in advance usually to enjoy this service package. While cleaning the aquarium we take the fishes out carefully and then clean the tank inside out. We clean the empty aquarium using special solution and fill the aquarium with clean water. This only takes a few minutes for our workers to complete and then they released the fish in it to float freely. Our workers provide their services to various commercial areas and they change the water every week for the convenience of the clients. Besides, drawing out water from aquariums requires special knowledge and our workers possess such knowledge without harming the fishes and water plants while replacing the water. Under this service scheme our workers every week clean and scrap the accumulated dust, dirt and alage of every commercial aquarium within a few periods of times. In performing the task they first shift the fishes to some other vessels and then draw out the stored water from the aquarium. After complete water removal they carefully pick the pebbles, remove the LED lights and artificial plants with great cautious. Then they start to scrap applying special brush to remove all the sediments stored inside it. Under this service scheme our workers every week to assess the condition of fishes roaming in the aquarium. They usually notice the activities of the fishes to assess the condition of their health. If they notice that any fish is showing less intensity then they quickly conduct medical examination of such fish with appropriate medicine for quick recovery. To know more about this service package viewer can log on our website. They have the option of free consultation from our technical adviser to know more about this service package.